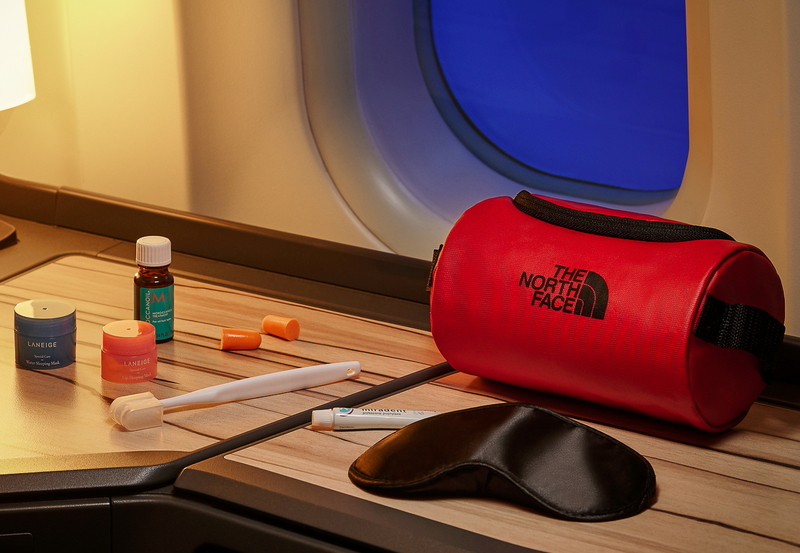 China Airlines has partnered with The North Face to launch new in-flight amenity kits for Premium Business Class and Premium Economy Class passengers on long-haul flights. The North Face Red amenity kit will be introduced at the start of February while The North Face Black will go live in June. The all-new China Airlines amenity kit incorporates flying elements such as a zipper key ring with ribbons to boost airline brand recognition. In terms of kit design, Premium Business Class has put an unconventional spin on the traditional bag by adopting the outdoor gear pouch design concept. The bag is water-resistant material and has a carabiner-style clip. For Premium Economy Class, the handbag is made out of ultra-lightweight Tyvek material that is supple and durable, water-resistant and reusable. The contents of the amenity kit include the basics such as an oral care kit, eye mask, and ear plugs. Handpicked products such as Korean best-selling Laneige skincare set and Moroccan Moroccanoil aromatic hair oil are also included depending on the cabin class. The airline has said that colours, other than black and red, will be progressively released in the future. See latest HD Video Interviews, Podcasts and other news regarding: China Airlines, Amenity Kit, North Face.